I graduated from Union High School in Rimersburg, PA in 1987. After high school I attended Clarion University of PA where I majored in Finance. I earned a Bachelor of Science in Business Administration degree in 1991. I started with Nationwide in the Ford City office in 1992. We expanded to our second location in New Bethlehem in 2002 and our third location in Brookville in 2009. I am actively involved with the Union ALl Sports Booster Club, the Bike The Wilds mountain bike race series, and the Union Youth Baseball League. The Nationwide Insurance: Eric D Shick in Brookville, PA provides the following products. To learn more about each insurance product, click on the links below. Understanding your insurance coverage should never involve having to learn a new language. That's why Eric D Shick and Eric D Shick are proud to be working with Nationwide to provide robust, easily customizable policies explained in language that is easy to follow. We understand that our members are not insurance experts, and that's why they come to us. We work hard to make sure every new policyholder understands their terms, exclusions, and limits so they get the coverage they need to drive with peace of mind in Brookville. Get the coverage you need in language that makes it easy to understand. Call (814) 849-3435 to get started with quotes or questions, or to schedule an in-person appointment for your consultation. In-person meetings are held in our office at 199 Main St.
Home insurance is not a one-size-fits-all affair. Every home is different and there are many types of factors that determine what kind of coverage is needed. At Eric D Shick, we can help you figure out the best way to obtain the full coverage you need. Some factors that may affect your home insurance include the age of your home, whether you have a pool or trampoline in the yard, the condition of your home, and many other details. Call us at (814) 849-3435 or visit us at our office on 199 Main St in Brookville to explore your options for securing your financial future. Take the guesswork and headaches out of worrying about risk factors by speaking with Eric D Shick about the ways in which Nationwide home insurance products can give you the coverage you need. We can add custom provisions to your policy or provide you with separate policies to ensure that all risks are addressed and fully provided for. Knowledge is power, and our agents are committed to empowering you to make the best decisions for your family and protecting your home. Let us figure out the risks while you enjoy your lifestyle with security and peace of mind. To get started with the right policy for you, get in touch with Eric D Shick who can offer the information and guidance you need. Feel free to bring up any questions and concerns you may have so that we can fully address them. We at Eric D Shick are here to help newlyweds in the Brookville area. We will answer all your life insurance questions and explain in easy language term versus permanent insurance. After speaking with us, you will have a complete understanding of both whole life insurance and universal life insurance and you will know which options are best for you. Call us at (814) 849-3435 and ask for Eric D Shick. If you are in the neighborhood, we welcome you and your spouse to stop by our office at 199 Main St,Brookville,PA,15825. It may be the most important date of your life. Managing the daily operations of a business can be challenging, especially since you may wear more than one hat throughout the day. At Eric D Shick in Brookville, we offer a variety of insurance solutions to help keep your business safe and secure, which leaves you with one less thing to worry about. We understand that every business has its own needs which is why we offer customizable coverage that fits your situation the best way possible. Whether it is a one-man shop or you have a number of employees, we can create a policy for you. If you are unsure about what types of coverage you may need, we are here to help. Eric D Shick will ask the right questions to determine what your company's needs are and make sure that you are properly protected against the unexpected. You may need business auto coverage, umbrella coverage, business interruption, or equipment breakdown insurance. You can also combine liability, property, and crime coverage into one convenient package if that works best for you. As part of our service to you, we will review your policy coverage so that you understand exactly what is covered, what your deductibles are, and what your limits are so that there are no surprises down the line. We will also perform periodic reviews and make changes as necessary, as your business grows. We know your time is valuable, which is why we make it easy to sign up for a policy. You can visit our office at 199 Main St or give us a call at (814) 849-3435. The Eric D Shick also offers products in PA, WV. Please call for information on products in those states. Nationwide has had a long standing presence in the Ford City, New Bethlehem, and Brookville areas with over 50 years in each community. Eric started with Nationwide in 1992 in the Ford City office. 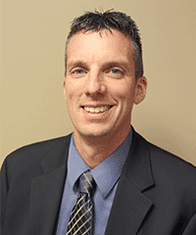 He expanded to the New Bethlehem office in 2002 and the Brookville office in 2009. All three locations are staffed with fully licensed associates who are dedicated to creating a plan tailored to the clients unique needs. We believe that the first class service provided to each and every client sets us apart from all of our competitors. We specialize in auto insurance, home insurance, life insurance, and business insurance to fit the specific needs of the client.